Award Winning Grade II Listed Snowdonia Cottage & Rural Retreat. ‘The Coach House’ is a quaint, romantic Grade II listed Holiday Cottage, nestled in the private grounds of the beautiful former 'Rectory of Ffestiniog' in the heart of Snowdonia National Park. Perfect for a special romantic getaway or small family holiday. Situated close to the pretty town of Porthmadog with its numerous shops, restaurants and bars. 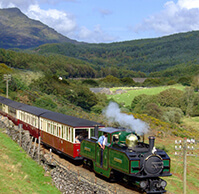 Only a short distance from gorgeous secluded sandy beaches, historic castles, Ffestiniog Steam Railway, Portmeiron and Zip World....there is something for everyone! This lovely Snowdonia cottage is the perfect Rural Retreat. Croeso - We look forward to welcoming you soon to our lovely cottage in this beautiful part of the world where you can fly in the sky, hike, climb or just relax and watch the world go by... Marie & Ray! An unforgettable experience of North Wales! Fly at speeds up to 100mph on the longest & fastest zip line in Europe! 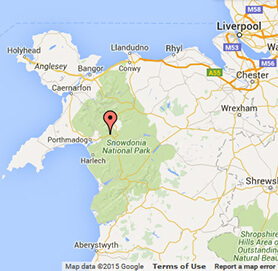 Right in the heart of Snowdonia National Park. 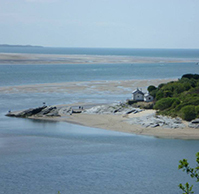 Close to the harbour town of Porthmadog with its lovely beaches and within 10 minutes walk of two historic Coaching Inns. 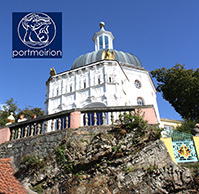 Minutes from Ffestiniog Railway, Portmeirion & Zip World!